This post is reproduced from this website http://nile.wpi.edu/NS/new_app_agent.html. But the above code is compiled for older ns2 version. But nsnam.com showcases the code for ns-2.35 version. You can read the theory about the agent from this weblink. 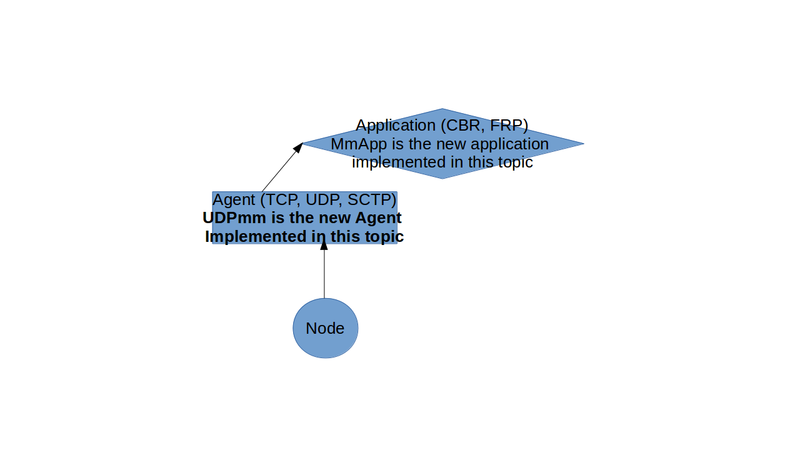 Test the testmm.tcl file and see the output, you can create any tcl file with udpmm as an agent and mmapp as application layer. 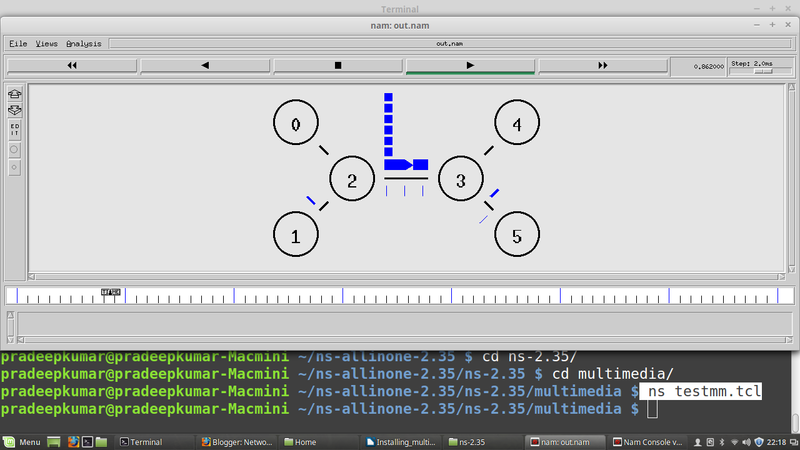 Copy "mm-app.h", "mm-app.cc", "udp-mm.h" and "udp-mm.cc" to the "~ns-2.35/multimedia" directory. Register the new application header by modifying "packet.h" (~ns-2.35/common/packet.h) and "ns-packet.tcl" (~ns-2.35/tcl/lib/ns-packet.tcl) as shown below. Add supportMM() and enableMM() methods to the "Agent" class in "agent.h" (~ns-2.35/common/agent.h) as shown below. Add recv_msg() method to the "Application" class in "app.h" (~ns-2.35/apps/app.h) as shown below. Add the yellow line to app.h in Application Class. Set default values for the newly introduced configurable parameters in "ns-default.tcl" as shown below. # There are five rates in which the application layer is supporting..
Be SURE to complete this last step. Otherwise, all five-scale rates are initialized to zero unless specified in the input simulation script (i.e., the test simulation script given below will not transmit any frames).